For years, you’ve loyally defended your bridge like every good troll does. It’s been difficult at times, especially since they put in that movie theater and more woodland creatures have tried to attend the five-dollar matinees. But you’ve persevered, scaring off any deer or sheep that tried to cross. But then… came the billy goats. Those hooved hooligans have been harder to scare off than a group of 1970s teenage mystery detectives. No matter how much you threaten or how loud you roar, the goats keep crossing over your bridge anyway. And they’re crafty things, too—if you manage to catch one, they trick you into letting them go and waiting for their big brother, who never appears. If you don’t nip this in the bud, you’ll soon be facing a billy goat infestation, and they’re notoriously difficult to drive away once they take over a new habitat. You’ve got to come up with something really intimidating, something that’s sure to stop them in their tracks. 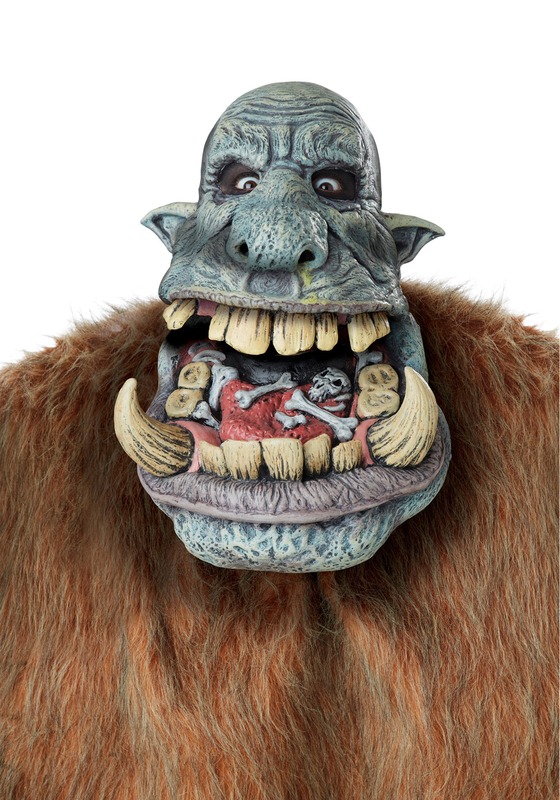 We suggest the Adult Battle Troll Big Mouth Mask. 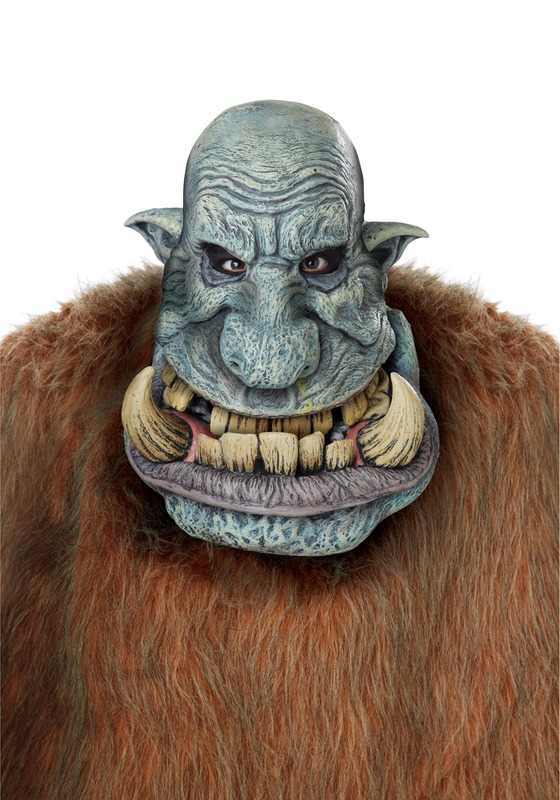 Sure, as a troll, you’re already scary—but this mask is out-of-this-world ferocious. The molded vinyl mask covers the entire face and top of the head, and the jaw is hinged so that when you move your head up and down, it looks like the mouth is moving. The most impressive parts are the gigantic fangs protruding from the lower jaw like stalagmites. We guarantee that this mask is terrifying enough to work on 2 out of 3 billy goats!